Fisher College at Cambridge lies between St John's and Trinity Colleges, a fact which may escape those who visit Cambridge trusting only to the official guide books and seeing no more than a gap of twenty feet between those two great houses of learning. Here one morning the bedmakers and gyps, clamouring for admission on the last day of term were admitted to find, lying across their path, the body of one of the College porters. The murder of the porter begins a mystery which deepens when it is found that the unpopular Dean of the college is missing. The search for the murderer is conducted in part by the police and partly by the Vice-President of Fisher College Sir Richard Cherrington, an eminent but slightly eccentric archaeologist with a penchant for amateur detection. 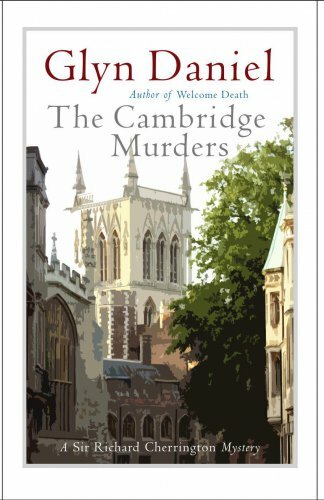 The Cambridge Murders is a story of murder at high table, of death and detection amid good living and scholarship.